Along with the Android Lollipop 5.1 update, Google has introduced a new security feature designed to render the phone unavailable for usage in the unfortunate event when it might get stolen or lost, therefore protecting all the important data on it. However, this feature, despite being very useful, can cause some serious problems and put people in a situation in which they need to bypass Google account verification, so they can use the phone. In this article, you will find a lot of technical instructions on how to remove Google account from the phone. If you aren’t a techie person, then we strongly suggest you to start talking with the intelligent assistant that can help you unlock your phone. What’s the Google Account Verification and how it works? Let’s say that you just lost your phone and another person finds it. Normally, this person will not be able to use the phone if you have already set up a screen lock pattern or a security PIN. Before Android 5.1 Lollipop, this wasn’t such an issue, as a simple factory reset would’ve bypassed the lock. However, after Google introduced the Google Account Verification or Factory Reset Protection (FRP), this didn’t work anymore. Thanks to the FRP lock, the phone becomes unavailable if the person who performs a factory reset doesn’t have the credentials of the Google account which was previously used to log on the phone. They will get the “This device was reset, to continue to sign in with a google account that was previously synced on this device” message, meaning that the phone is useless, unless they bypass the Google account. Automatically, this can have a big impact on users who buy a phone from a third party seller and cannot get in touch with the person that sold them the phone. Most users reported not being able to use the phone because they ended with an FRP locked phone and they could not get past the screen where the phone asks for the Google Account. If you’re in the same situation, I bet that you have one this question: Is there any method to bypass the Google account lock? If you are searching for a fast and sure way to bypass the google account, click here and one of our specialized technicians will take care of the unlocking process for you. It will take only 15 minutes before your phone will be unlocked. Use the links below to jump directly to the section about your phone brand. Later Edit: As we saw a lot of people having difficulties bypassing Google account verification, we decided to create a tool that can help you bypass the verification – the UnlockUnit Intelligent Assistant. Several users already tried it, and they were very happy about the experience that they had with the bot. What benefits can UnlockUnit Assistant offer you? Check it out here, if you decide that this is a more efficient method for you. By default, the feature is automatically enabled once you add a Google account to your phone. In order to disable it, everything you need to do is remove your account. Go to Settings > Accounts > Google and choose your account. Tap on it, then click on the icon on the top right corner. Here, you will see a menu with three options, including Remove account. Samsung handsets are among the best selling devices in the world, so this issue is very often encountered by their users, especially those who get used phones. If you want to learn how to bypass a Google account on a Samsung Galaxy, you can use the method below. From the Help section, tap on Using Google Keyboard. Scroll down until you find“About Phone” and tap it. Add the new account and your phone will be ready to use. And you’re done! This is how you can perform a FRP bypass for Samsung phones. If you had any trouble performing these above-mentioned steps, start the conversation with UnlockUnit Assistant, as it can help you for sure. These steps should help you to easily perform a Samsung Galaxy J7 Google account bypass, for example, or for any other model running Android 5.1 Lollipop and above. The procedure for an LG handset can look a bit tricky and complicated at first, but don’t get discouraged. Simply follow the steps below and you should be able to get rid of the FRP lock. Here, you should see the Feedback menu. Tap on it until a new submenu appears. You will see a field where you can type your feedback, as well as the “Include system logs” option. Right under it, you will see Terms of Service. Tap on those three words. If you’ve reached this step, it’s great. You’re very close to the moment when you will bypass Google account verification on your LG. Initially, you will be taken to the Terms of Service page. Tap the Google logo, in order to be taken to the homepage. The first result should be from Wikipedia. Long press on the description under the title of the page. This will show a menu with two options: Copy and Share, as well as three vertical dots on the right side. Tap on the three dots. This will reveal a new menu, with three options: Select all, Web search, and Assist. Tap on Assist. This will reveal the phone’s search bar. Hit No, Thanks where you are asked to sign in. Another important step is ready. You’re almost done! From here, tap on Google Play services. Repeat the steps above: tap on Force Stop, then on Disable, followed by OK.
After the phone restarts, you need to complete your initial setup. Without connecting the phone to a Wi-Fi network, tap on the Next arrow from the phone’s welcome screen. After this, tap Skip. If there is a Wi-Fi connection on your phone, long press on Wi-Fi network, then tap on Forget Network, then tap on Next. Tap Skip until you see the Protect this Device option, which needs to be unchecked. After this, skip all screens until you get to the list with the Google Terms and Conditions. Check I agree and tap on Done. Ok, just one more step. In order to successfully bypass Google verification, you need to reset the LG phone. Again, make sure you DO NOT connect it to Wi-Fi! Go to Reset Phone > Delete all > Reset. This is it! 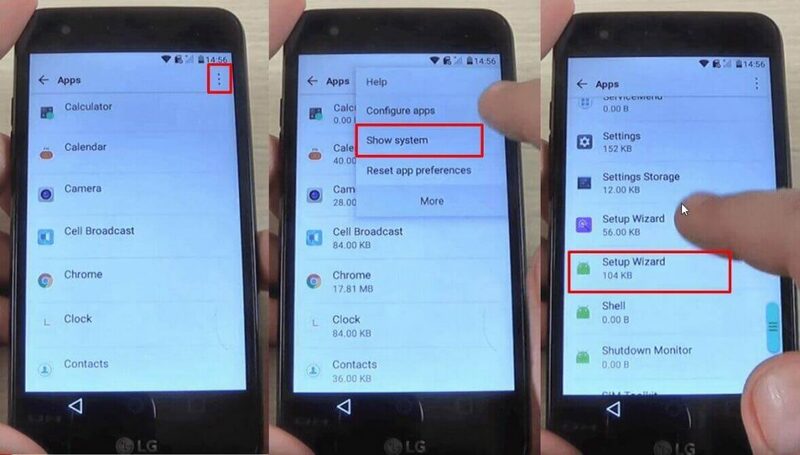 You’ve managed to remove the FRP lock from your LG. If you didn’t manage to bypass the Google account verification on LG, start the conversation with UnlockUnit Assistant, as it can help you for sure. 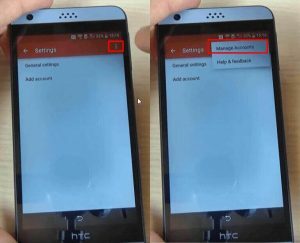 Unlike the procedure for LG phones, if you want to skip Google account verification for an HTC you will need a bit of extra time since there’s one additional step. But don’t worry, it’s not difficult. 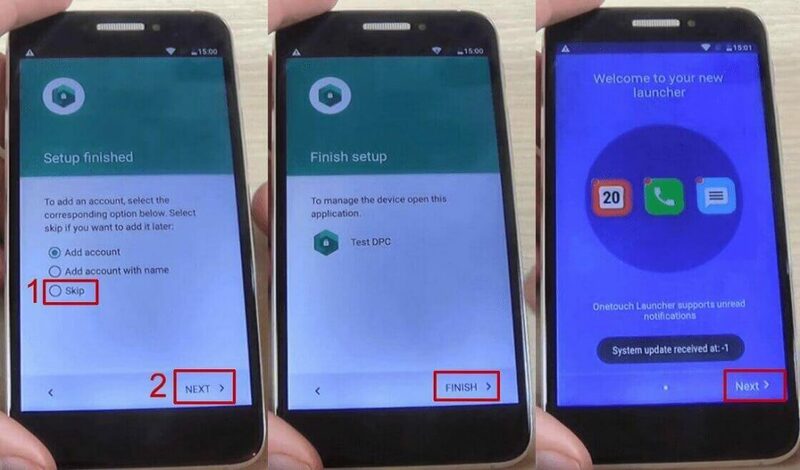 Just go on with the steps below and you will be able to peform a FRP lock bypass on your HTC in no time. Search for Quick ShortcutMaker and open the second link that appears. From here, download “APK from APK 2.0”, using the link at the bottom of the page. 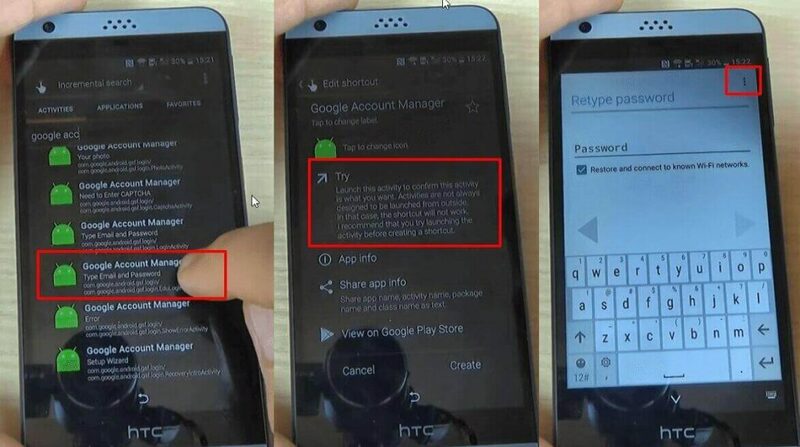 The app you’ve just installed is essential if you want to bypass Factory Reset Protection on HTC. And don’t worry, it’s completely safe and it won’t damage your phone. Ok, let’s see what’s next. Go to the Settings menu > Backup & reset. Perform a factory data reset, in order to complete the FRP lock removal process. It looks like several owners are also dealing with this problem, so we’ve put together the instructions for a ZTE Google account bypass. Most ZTE phones come with the Swift Key keyboard, so you need to tap on the keyboard’s menu key. In the Google search bar, type “Settings” and select it. If the SwiftKey menu pops up again, tap on Got it, then Not Now. From this submenu, choose Factory Data Reset. Go through the entire process and reset your handset again. However, this time you won’t see the FRP lock. If you had any trouble performing these above-mentioned steps here is a very helpful video that will guide you through the process. 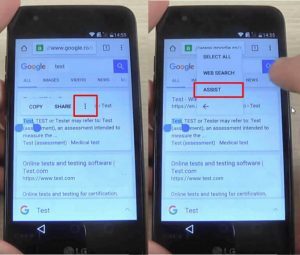 The method is slightly different and it will work just for devices featuring the same user’s interface, but it’s another working way to bypass Google account verification on ZTE phones. Additionally, there is a FRP bypass apk for ZTE, but it’s not recommended, since there’s no guarantee that it will work, so you can try it at your own risk. Another brand prone to dealing with FRP lock issues is Alcatel. 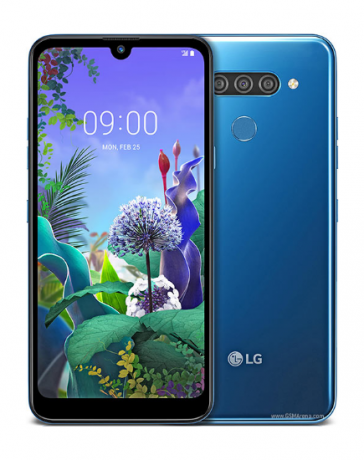 Fortunately, we found some instructions on how to bypass Google verification on Alcatel One Touch models, Idol, Pixi, Fierce, and other models coming from this brand. Long press the text you entered, until a menu with Cut, Copy, Select all, and three dots appear. Press the three dots. The Assist option will appear. Tap on it. In most cases, this won’t work, so press the @ symbol at the bottom of the keyboard, until the Gear icon appears. Tap on that one. A new menu will appear. From here, tap on Android Keyboard Settings. Scroll to the bottom of the page and tap Download APK. This will begin the FRP bypass tool download. Wait for a few moments, until the FRP bypass tool is downloaded on your phone. The FRP bypass apk for Android package will show once again, but will shortly disappear and the Downloads folder will be shown, with no items in it. That’s it, your phone won’t ask for the Google account anymore. This previous step is very important since it actually shows you how you can make a search, even though the phone has a FRP Android lock. Tap Skip/Next until you get to the phone’s home screen. While going through these steps, you will be asked to connect to a Wi-Fi network. DO NOT connect. And that’s it! Your Alcatel phone won’t ask for the Google account verification anymore but if you still have difficulties, start the conversation with UnlockUnit Assistant, as it can help you for sure.. Finally, let’s talk about another popular method to bypass Google account activation, done through cable and with a special app. Several users reported that they have used the FRP bypass apk for Samsung and it worked in most cases,, while the number of phones from other manufacturers which can be bypassed like this is reduced. However, it’s worth trying but it involves some tech skills. If you feel the need to get some help, start talking with the UnlockUnit Assistant, as it can help you for sure. This is where the OTG cable and the USB stick come in. Insert the stick in your PC, then connect the phone, using the cable. In a few moments, the File Manager will appear on the phone’s screen. The app is now installed, so you can access the phone’s settings menu easily. While in the Settings menu, scroll until you find Backup and Reset, then tap on it. Go to Factory data reset, tap on it, then tap the Erase everything button.This will take a few minutes. After the phone is erased, it will restart and take you to the initial setup screen again. Remove then OTG cable and go through the setup again. You won’t need to bypass Google account verification on Samsung again. Even though the majority of users claim that the instructions presented above work and help them, there are some situations in which they get stuck at specific steps, due to various reasons. We’ve identified some of the most common problems and offered some quick solutions, in order to make bypassing quicker. The phone doesn’t have the Google keyboard: This happens because some phones have a custom UI the manufacturer installs. In this case, the solution is to opt for the last method to bypass Google account presented here, using a FRP bypass tool with computer and a cable or the UnlockUnit Assistant method. Long-pressing doesn’t show any menu: This depends on the manufacturer and the type of display. If a long-press doesn’t reveal anything, just press for a few extra seconds or apply more pressure on the touchscreen. The keyboard’s Settings menu doesn’t show: This depends on the version of the keyboard you’re using. In some cases, instead of @, you can press the comma or whatever button is in the bottom left corner to access this menu. 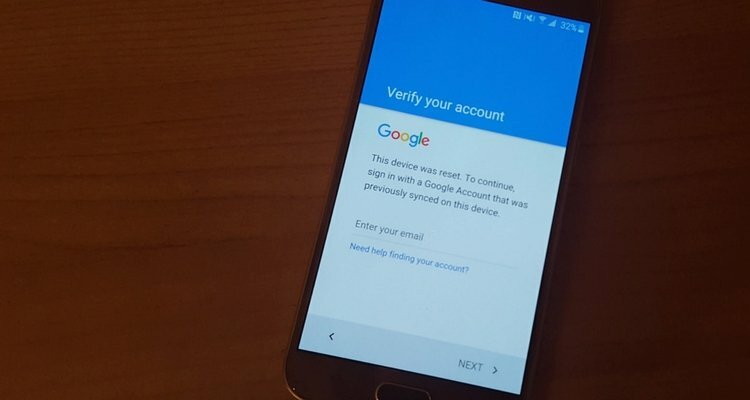 This is how you can successfully bypass Google account verification on your phone, whether it’s a Samsung, LG, HTC or another popular brand. Obviously, there are several others which you can use to get over this problem. As mentioned before, UnlockUnit Assistant is a very reliable way to deal with this kind of locks and provides on the information you need if you want to find out how to delete a Google account from a phone. If you encounter any issues during the process or find a better way to remove the FRP lock on Android, please let us know, using the live chat section and we will do our best to offer a valid resolution. This service worked great for my Samsung Galaxy S7 phone! The technician was very knowledgeable. I totally recommend this service to others. I have spent endless hours trying to do this myself with no success until I reached out for help. Same. Although my technician suddenly stopped replying. No response in chat or to my emails. Appointment was at 5pmEST havent heard from him since 5:07ish. I fly out of town tomorrow and wont have access to the computer anymore (that I downloaded the 2 files to). Hello, Have you tried contacting our customer support yet? If not then please tell us the order ID or IMEI so we can identify your order and check. Waiting for your reply. Have a nice day! Thanks for info. It worked for me! I have finished doing Google bypass and entered inside. But I forget my google I’d. How to create new. It asks for old id. I have a Samsung Tab A and the tablet doesn’t use google keyboard, just Samsung. I found the terms and conditions on the settings portion, but it won’t open it. I’ve already factory reset it, and it still doesn’t work. Someone please help! 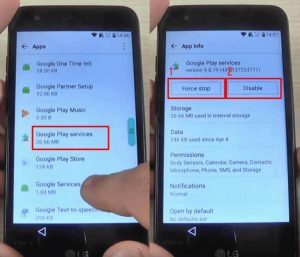 My LG has the force stop and disable options greyed out for Google Play Services is this a thing having to do with the model? Can I get around it? My brand new huawei y9 didn’t have a google account yet and it’s locked. Should I factory reset it?? Hello Eisha, Please share some more details as to what the device is asking so that we can guide you properly, thanks! Bula. I’m not a techie person so I was assisted by a technician. At first I thought I had been duped but it all worked out well in the end. Thank you again. cant open samsung j5 ive been trying other methods using youtube videos just like others my niece forgotten her password… so i tried hard reset on the phone… not a chance… but ill try the method you have…the samsung that i have doesnt had google keyboard..anyway ill try the usb. I unlocked my sons Samsung Galaxy S6 using this solution a few weeks ago and it worked like a charm. I’m very excited to unlock my new Galaxy S9 today! I will make sure that I let you know how the process works! I have an Alcatel and I got to where copy,paste and cut, but the three dots didn’t appear. I long pressed the @ and a menu appeared but not the right option was there. Any help is greatly appreciated. OMG! thanks a ton! I used Samsung’s instructions to unlock and AllView Tablet! yay! When I put in the email & password, it says ” unable to sign into device due to recent password change. Please try to sign in again 24 hours after the password change has been performed” BUT it’s been more than 48 hours and I still get the same message. I have even changed the password AND waited 24 hours AGAIN but still get the SAME message…….PLEASE HELP ME!!!!! Hello Crystal, you have a different type of lock on your device. Our service is for Network Lock only. Your device is locked with User Password, something that only the device owner will know. Thankyou very much. My son could not remember his password and after trying for hours different combinations we did a factory reset but then he could not remember his last google account details – your advice worked though. Thanks- he is now very happy and also thinks I am a computer genius! I dont think this was meant to work on newer devices. Did not work on my Note 9 (SM-N960T ). I had to use a paid service. Unlockjunky.com, had a few problems with my cable but it worked. Anyways thanks for this amazing post Unlockunit. SAME LIKE ME .. HUAWEI HONOR 7X .. FULL LOCK .. YOU CANNOT INSTALL ANYTHING APPS ..
hi, im using galaxy J7 (marshmallow) that comes with samsung keyboard (even after full reset) and no google keyboard. can u help? I’m trying to unlock an Alcatel Fierce XL but I’ve hit a snag, after downloading the apk there is no pop up or notification, etc that I can click on to run the apk for instalation. I tried downloading again and was able to view the downloads folder but only to choose which file i wanted to replace the new apk download with, which was unhelpful but it did allow me to visually confirm the apk file did download. Can anyone possibly help me find a way to install the apk? I appreciate any suggestions, thanks in advance. I have a Samsung s8, and it won’t let me connect to any Wi-Fi network, it says unable to connect to the internet, is there a solution to this?